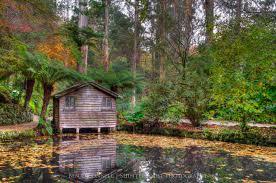 While visiting the Dandenong Ranges for your dining experience, come to the Olinda Tea House. After a walk through the Dandenong ranges forest,up the thousands steps at Fern Tree Gully, there are so many lovely places to see, visit and experience. 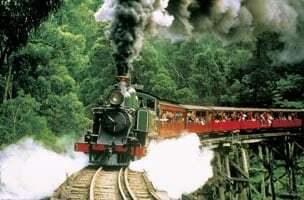 The historic Puffing Billy railway is just 10 minutes from the Olinda Tea House. 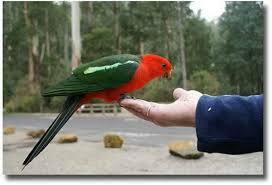 Feed the rosellas or wander one of the many bush walks and work up an appetite for the world famous international food at Olinda Tea House – less than 10 minutes away. 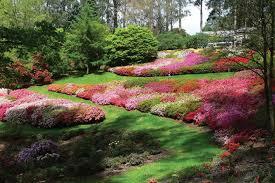 Just a couple of minutes from Olinda Tea House, the National Rhododendron Gardens are host to brilliantly coloured blooms of rhododendrons, azaleas, camellias, cherries and daffodils. 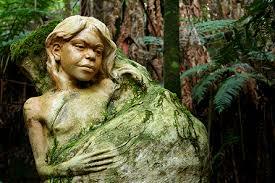 William Ricketts Sanctuary is a place of beauty and tranquillity, due both to the natural setting and the mystical sculptures half hidden among ferns along the pathways. It is a place for quiet reflection and for contemplation of the essence of the vision of William Ricketts. Just a few minutes’ drive away, it’s a great place for a gentle walk before or after dining at Olinda Tea House. This historic private garden contains a number of plants rarely found in cultivation, which are thriving in the acidic soils, cool temperate climate and shaded conditions found in the Dandenong Ranges. Extensive collections of magnolias, rhododendrons, camellias, azaleas, fuchsias and hydrangeas will delight garden enthusiasts. Around 5 minutes away this garden offers a delightful stroll before or after a meal at Olinda Tea House. The many linking paths through this garden take you beneath a canopy of awesome Mountain Ash trees down to the picturesque lake and quaint boathouse. Please note this garden has steep paths. Around 5 minutes away this is a good choice to walk off a yummy meal at Olinda Tea House. 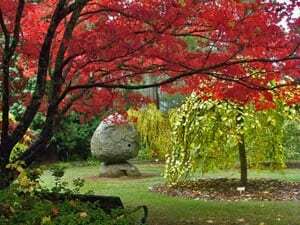 A visit to Cloudehill is a must for garden enthusiasts. Cloudehill provides inspiration throughout the seasons; from spring bulb meadows, summer perennial borders and dramatic autumn foliage. Just a few minutes’ drive away from lunch, afternoon tea or dinner at Olinda Tea House. 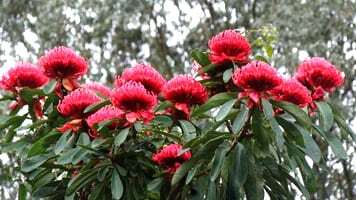 Established in 1965, Karwarra is one of the few public gardens where native plants are used exclusively, giving visitors the opportunity to see how they can be used effectively as part of a landscaped garden. Less than 10 minutes’ drive from Olinda Tea House. Karwarra has a well-stocked plant nursery and staff can assist with plant selection. Close to Melbourne, through the enchanted forests of Mount Dandenong, is where you will find the spectacular Tesselaar Tulip Festival, in the town of Silvan. 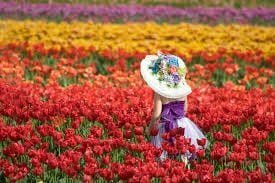 Arrive early and gather your family, and friends together for a fabulous morning among the Tulips followed by a lunch welcome lunch booking at Olinda Tea House. Burrinja is a vibrant community cultural centre in the Dandenong Ranges. 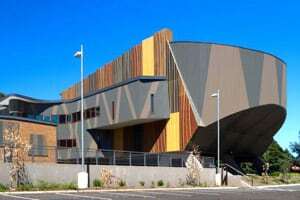 The centre encompasses multiple gallery spaces and artists’ studios, a world-class collection of Indigenous and oceanic art, 400 seat theatre, black box space, kids ‘stay and play’ art activities, live music.. something for everyone. Combine this with a meal at Olinda Tea House and you have the perfect day out.